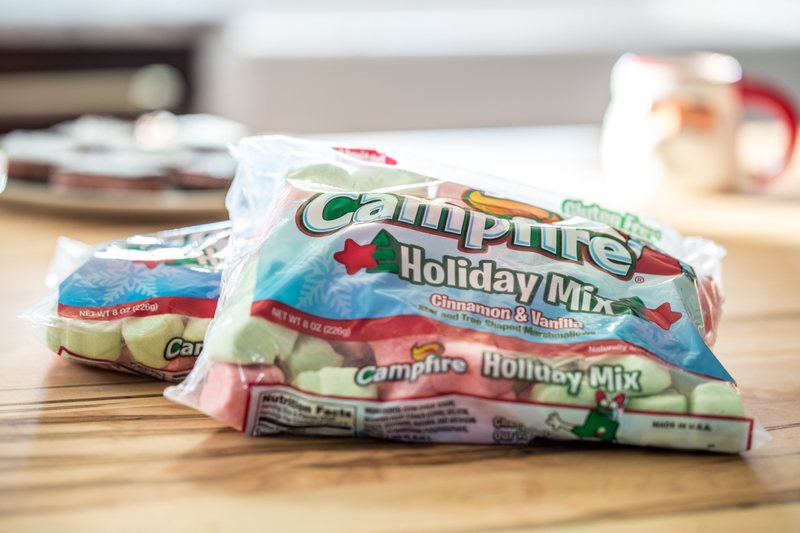 This post, Mexican Hot Chocolate Shortbread Bars, is sponsored on behalf of Campfire® Marshmallows. All opinions are my own. Thank you for supporting the brands and partners that I love and that help make Jelly Toast possible. It’s one week until Christmas, but I have to say that I’m feeling pretty great. This year I’m embracing the fact that not everything will get done and that’s just fine. Great, in fact. 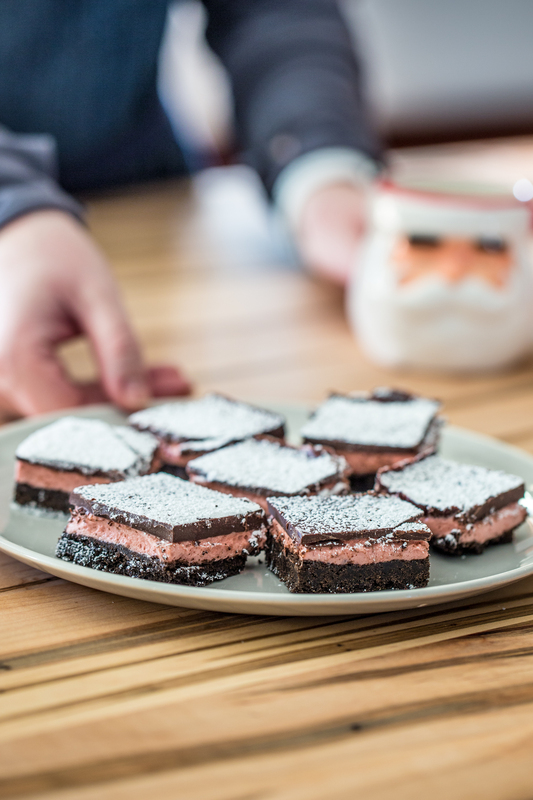 The last few weeks, I’ve been sneaking in a little baking here and there when I’m in the mood, like last week when I made these Mexican Hot Chocolate Shortbread Bars using Campfire® Holiday Mix marshmallows. I made a video showing how simple these are to make, and you can see that I also have dinner cooking away in my Instant Pot (seriously, check the background of the video). 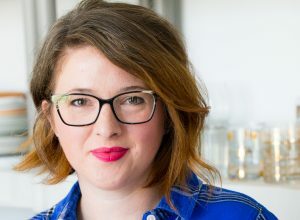 I have been making chicken soup about twice a week for the last month in the Instant Pot and one of these days, I’m going to post about it. You know how much I love a festively flavored marshmallow (hello, gingerbread marshmallow fudge with walnuts!) and I wanted to do something fun with these Holiday Mix marshmallows that are a combination of cinnamon and vanilla in the shape stars and trees. I took a nod from Mexican Hot Chocolate that combines rich chocolate with spicy cinnamon and a touch of chili powder. 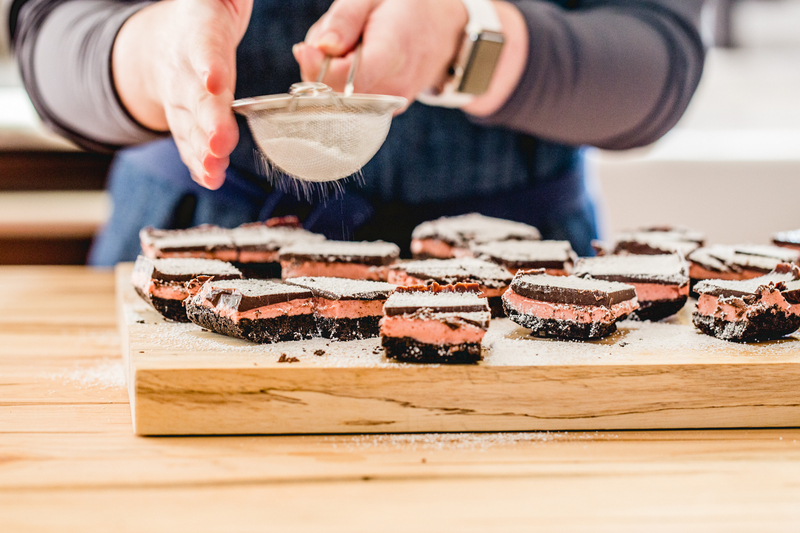 The base layer of these shortbread bars is chocolate with that touch of spice, topped with a soft pink marshmallow layer and a layer of chocolate to sandwich it all together. I added a sprinkle of salt because I can’t get enough of a salty sweet combo, plus the salt brings out the chili powder. 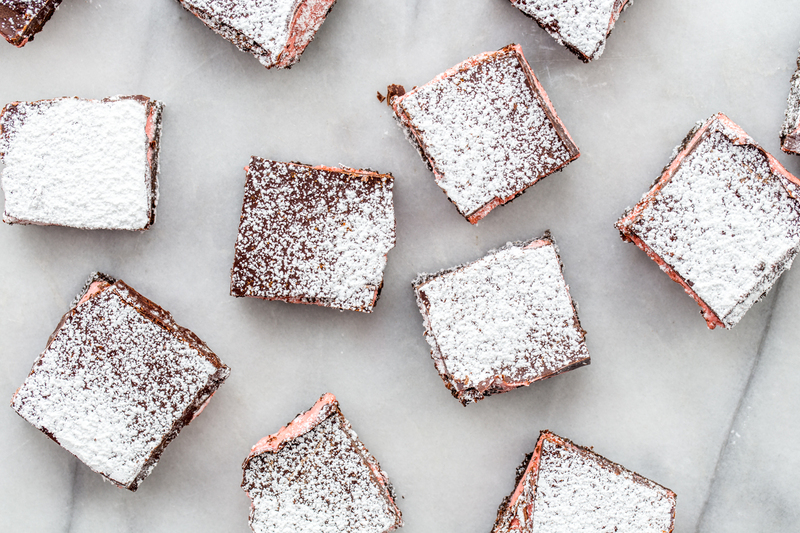 A dusting of powdered sugar not only tastes great, but it covers up any wobbly cutting that may have occurred. Preheat oven to 300°F. Line an 8x8 inch pan with foil and spray with non-stick baking spray. Set aside. In a medium size bowl, mix together softened butter, sugar, and salt with a fork. Add in cocoa powder, bakign powder, cinnamon, and chili powder and mix until well combined. Press mixture into bottom of prepared pan. Bake for 35-40 minutes. Allow shortbread to cool completely. In a large microwave safe bowl, melt marshmallows and water on high for about 60 seconds in the microwave. Watch carefully to avoid a mess. Stir until marshmallows are melted and smooth. Spread over shortbread with an offset spatula. Chill until marshmallow layer is firm. Melt chocolate and coconut oil in a small microwave safe bowl on high in 30 second intervals. Stir between each interval until chocolate is smooth and glossy. Spread over chilled marshmallow layer. Sprinkle chocolate with a touch of sea salt and allow to set until chocolate is firm. 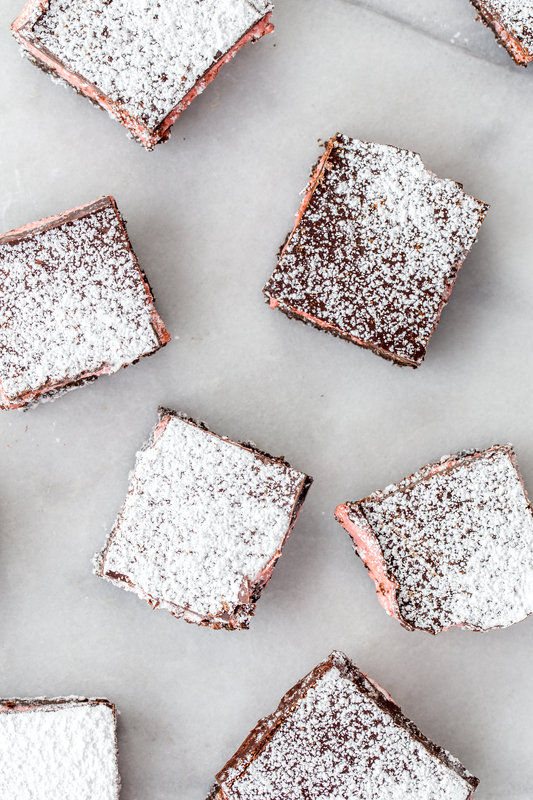 Cut into squares and dust with powdered sugar if desired. Store in an airtight container for up to 5 days. Chill or freeze for longer storage.